We have several devices that can be used to withdraw fluids from bottles or collapsible bags. These kits can be customised to meet your requirements with bespoke components, tube size and lengths, printed inserts and ancillary items. 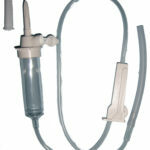 For small doses where it is important to see the flow of vaccine a drip chamber can be added. We can also include a tube clamp to enable changing the spike between bottles without getting air-bubbles into the tubing. Below is a selection of kits. Please contact us to discuss your requirements. This kit has a vented spike with air-filter and closure cap. 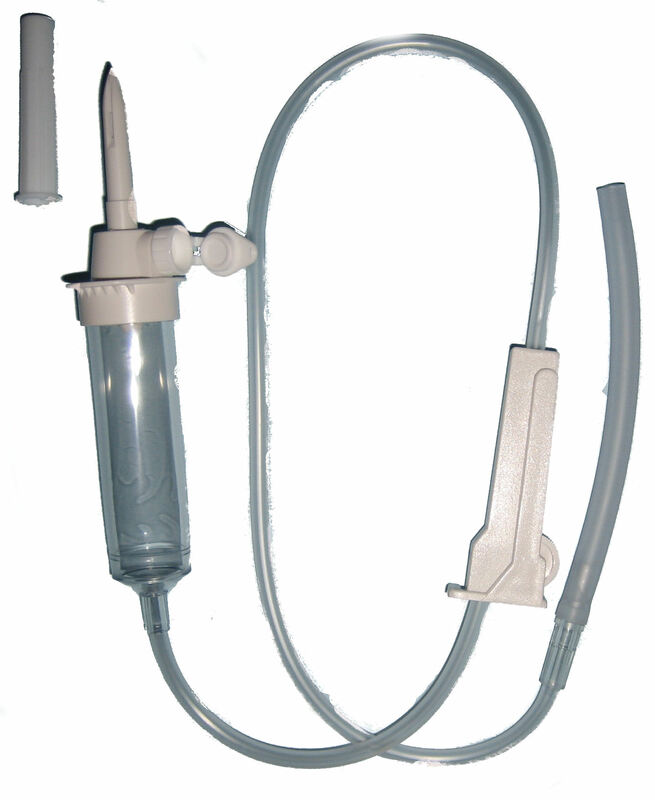 The spike can be supplied with single, double or quadruple tubes depending how many operators are working from each vaccine bottle. Please see below for standard kits and click on the link below for a PDF download. Please contact Sterimatic if you require a different kit. Please click on the link below for a PDF download.